Get your free Netflix giftcard when you signup to our NBN Plans today! 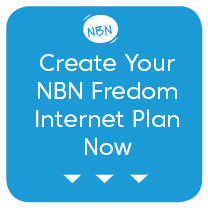 Pivit’s Unlimited NBN plans allow you to choose the plan that best suits your internet needs and budget. If you need internet access for multiple users who like online gaming, to watch HD video’s and are socially connected 24/7, then our “VIP’ plan range is ideal for you. Our ‘VIP’ plans offer the experience of consistent, uninterrupted internet (even at peak times) over the highest quality service available. If your internet needs are simple (e.g you just use have one or two users who primarily use the internet for e-mails, shopping and web browsing) and a high-speed internet connection is not important to you, then our ‘Budget Basics’ plan range is ideal for you. (Please note our ‘Budget Basics” plans may experience periods slow speeds at peak times). * All Pivit NBN plans have Unlimited data included. Please see a list of our forms below for more detailed information or to signup today. Contact our friendly customer service team if you have any further questions.